Valparai Hill station is located above 3500 feet height from the sea level on the Anamalai mountain range of the Western Ghats and is also one of the best tourist places in Tamilnadu. At a distance of 64 km from Pollachi and 102 kms distance from Coimbatore. 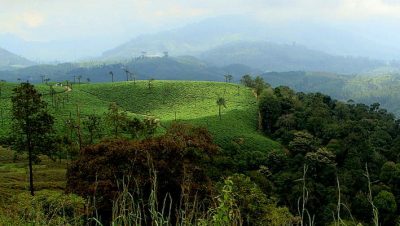 Valparai Hill station is pollution free heavenly land surrounded with full of tea estates.It stands majestically with Green Spread Mountains and picturesque forest all around. Travelling between Pollachi to Valparai is itself an exotic experience. Chinna Kallar is one of the places in Valparai which receives the highest rainfall areas in India. There are around 40 steep, hairpin bends to reach Valparai from the plains of Pollachi. The region is also a rich elephant tract and is known to have many leopards. The Valparai range is also the habitat of Nilgiri Tahr. 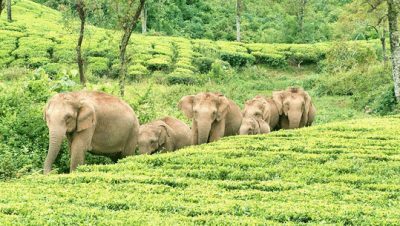 Tourists can also make a visit to the Indira Gandhi Wildlife Sanctuary, which is one of the most prominent attractions of Valparai. At this sanctuary, travellers can spot the lion-tailed macaque, barking deer, wild boar, the Nilgiri and the common langur among others. Valparai is also great place for bird watching. The Great Hornbill, the Malabar Pied Hornbill and the Grey Malabar Hornbill are regularly seen here. Upper Sholayar Dam (15 km) is a fantastic place to visit from Valparai. Other important places to visit include Nirar Dam (7 km), Aliyar Dam (30 km), Monkey Falls (24 km), Balaji temple (Karimalai -15 km), Velankanni Church (Karimalai – 15 km), Pancha Mugha Vinayagar Koil (Near Sholayar) etc. In addition to sightseeing, travellers can also engage in trekking and can also make a visit to the tea estates. 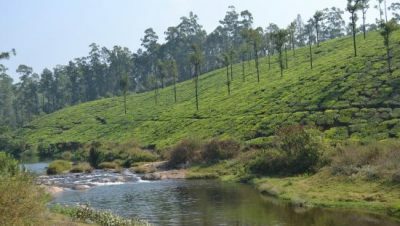 Valparai has plenty of accommodation options in the form of resorts, hotels,cottages, home stays and tea estate bungalows. Valparai is connected by bus with Pollachi, Coimbatore, Chalakudy and Palani. Nearest Airport for Valparai Hill station is Coimbatore Airport which is of 102 KM distance. Pollachi Railway station is the nearest Railway station to Valparai Hill Station which is at distance of 64KM. The major railway station is Coimbatore Railway Junction which is located at a distance of 102 KM from Valparai. There are no. of State Govt. Buses are available from Coimbatore, Pollachi, Palani, Challakudi and Athirapalli.Valparai Hill Station is situated at a distance of 64 KM from Pollachi and from Coimbatore it is 102 KM distance from Athirapalli it is 60 KM and from Chennai it is located at a distance of 600 KM. Accommodation at Valparai for staying there are no. of good hotels, cottages, bungalows are available in Valparai and also at places like Pollachi, Coimbatore and Palani.